Well I guess you've been wondering where my take on the 3DS was seeing that some big news was recently shared this past Wednesday at the 3DS conference. I could go on about all the details and such as the games or info but you will most likely be seeing this, following up to the 3DS release or on the Nintendo site itself so I'll spare you it. What I'd like to talk about more is the actual release date and pricing of the handheld itself. Currently as it stands (unless they change something at the last minute) the handheld is scheduled for release in the US on the 27th March at $249.99 and in Europe on the 25th March at £229.99. So just from that small bit of info we can gather a few things. One of them being that the 3DS costs more than the current next gen consoles even though its a handheld and it was also announced that the games would be sold for approximately £40 each. Now all of this can sound a little daunting however I would like to give my reasons why the 3DS in itself is still a bargain, regardless it being priced higher then the next gen consoles. To start off let’s compare it to current 3D gaming AKA the PS3. Currently to enable 3D gaming on your PS3 you will need a 3D TV along with the PS3 itself. 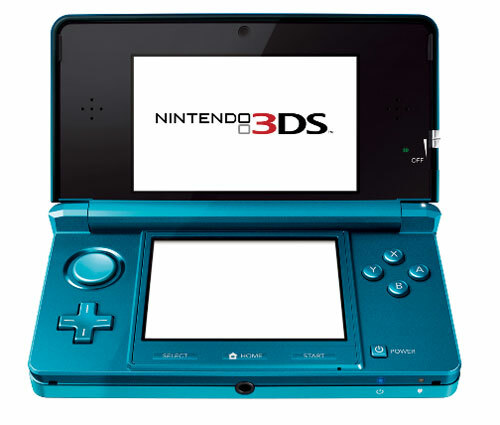 At the moment the PS3 console is priced lower than the 3DS itself however the cost of a 3D TV is not. Judging from that it's obviously clear that the 3DS is the better bargain here considering the fact that you can also take it with you where ever you go and you don’t need glasses. Whereas the PS3, you would have to fork out quite a bit for the TV + 3D glasses for each member of your family.